Welcome to KnownFour, a simple and easy place to share photos, share videos and share you. You can view anyone’s activity, and if you want to share your own just register and click Share. 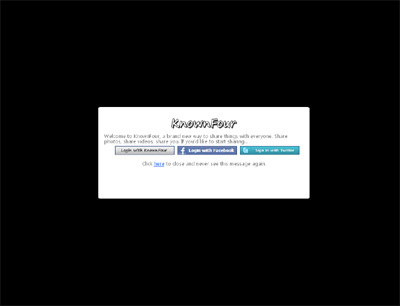 In the coming months KnownFour will combine the best social networking features that people want, with a simple user-interface.